Antony Ingram December 19, 2013 Comment Now! 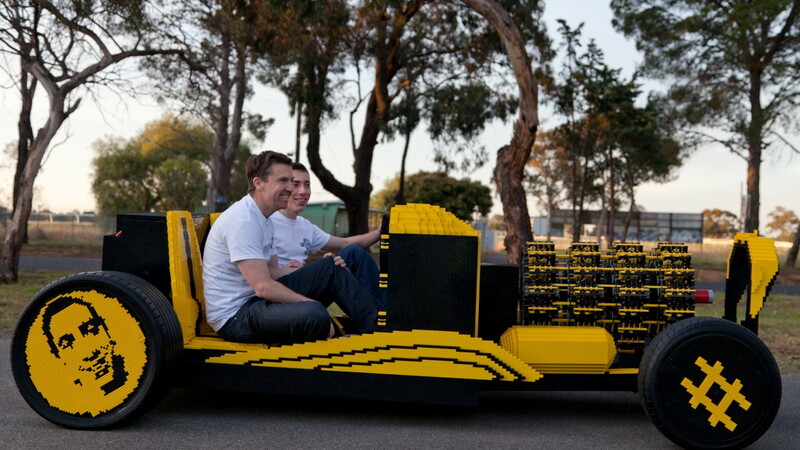 In today's edition of "things you wish you'd done if you had the brains and not wasted your life in front of the TV", an Australian and Romanian duo has come up with the childhood toy of our dreams: A full-size, working car made from Lego. It's the brainchild of Australian-based Steve Sammartino, a self-proclaimed entrepreneur and marketing guy, and 20-year old Romanian technology genius Raul Oaida. The entire project was crowdfunded via just a single Tweet, says AutoWeek. 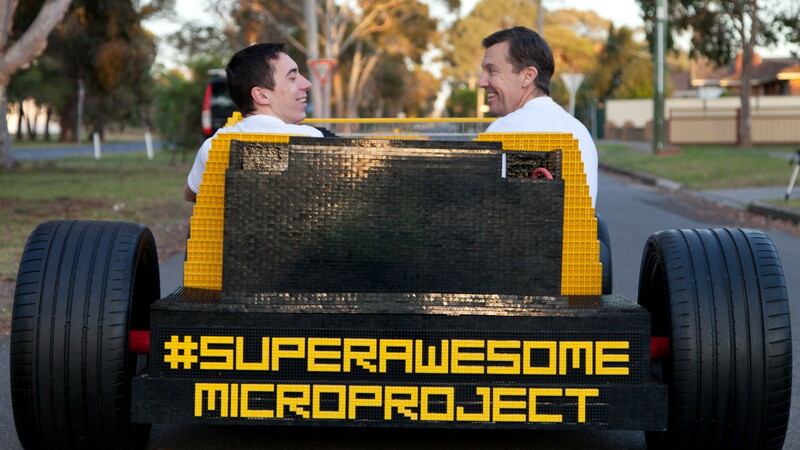 Under the guise of the "Super Awesome Micro Project", that tweet brought in enough cash for the half-million Lego pieces required for its construction. The car was built in Romania and then moved to Melbourne, Australia, presumably not brick-by-brick. 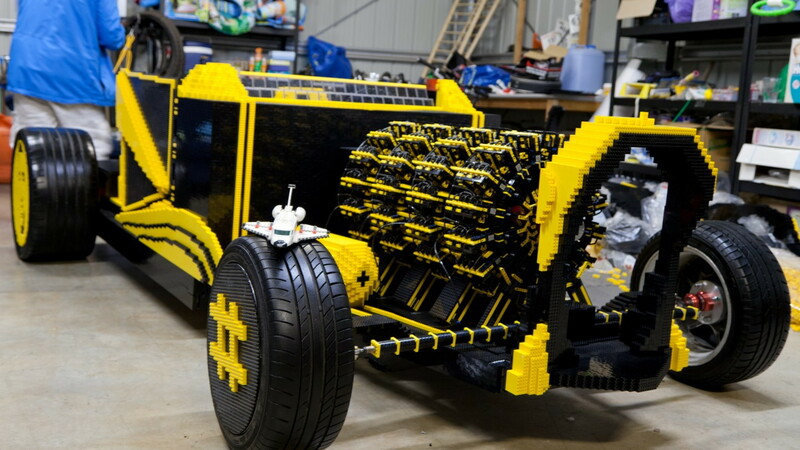 While we're sure more than a few people could lay claim to having made a full-size Lego car, we doubt too many of them have a fully-working Lego engine to go along with it. 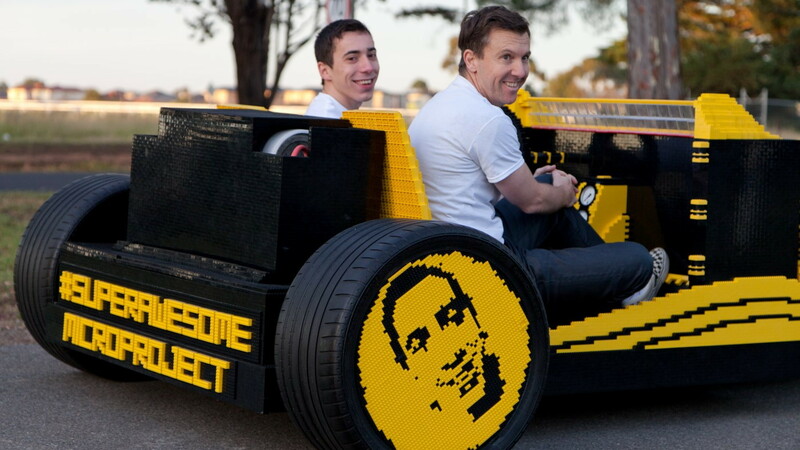 In this case, that engine is a 256-piston, air-powered Lego radial engine, capable of driving the insane yellow and black Lego contraption up to around 18 mph. It's not highway-capable then, but if using highways means missing out on a life-size Lego car with a radial engine, they're probably overrated anyway. Detail is staggering. The only visible non-Lego components are the gauges, and the wheel rims and tires (though the wheels have Lego faces--literally) while thousands of pieces can be seen moving in the four orbital radial Lego engines. 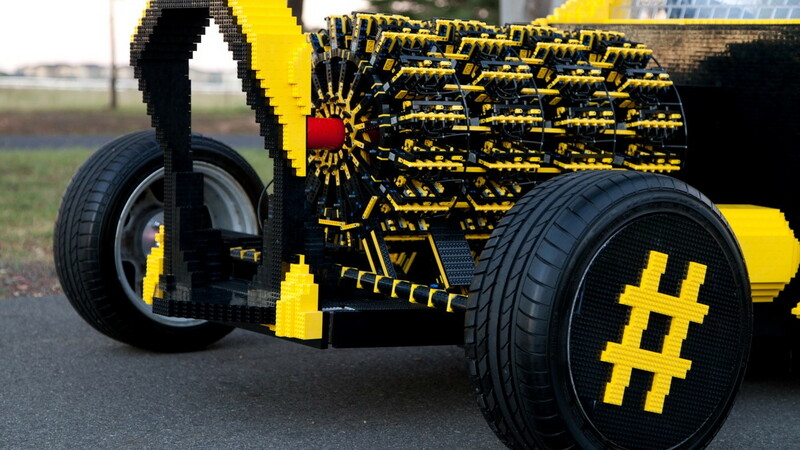 The doors--removable--are also Lego, as are the mildly uncomfortable-looking seats and steering wheel. But why the hot rod design? "Mainly because hot rods are cool", says Sammartino. Can't argue with that.